﻿ Black Matte Finish Is This Week's Trends In Pinterest! This Friday we give you our weekly article of What’s Hot On Pinterest! In today’s article, we take a look at the matte black finish. This custom finish is present in your home decor, from your kitchen to your dining room. The matte black finish is present in full force in this modern kitchen decor. With wooden materials and elements keeping this modern kitchen rustic in a sense. Featuring an all-black matte finish in the furniture. This dining room features the same matte black finish in its furniture pieces. This modern dining room could easily be part of the same home that features that same kitchen that we showed you. The same elements are present in both of these pictures. Another example of a home that features this matte black finish, this modern kitchen is pretty much similar to the first kitchen that we showed you. Showcasing the exact same elements. This exact style and preference is exactly what’s grabbed the attention of Pinterest. 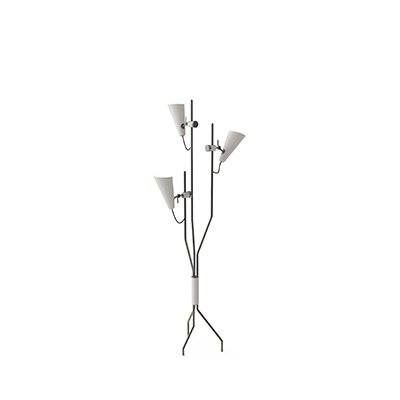 Abbey floor lamp is the right fit for this particular style. Featuring the exact same finish, the matte black finish, this floor piece features a blend between matte black and gold-plated finish, which are paired up nicely. 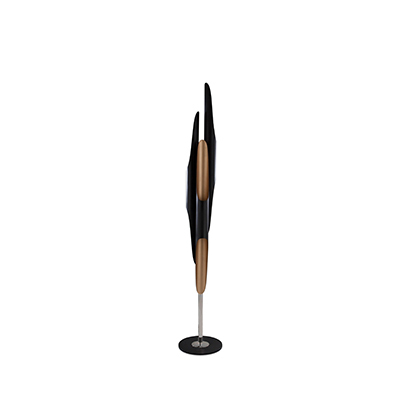 Coltrane floor lamp embodies the mid-century modern design philosophy. The Coltrane collection is now one of DelightFULL’s unique and trademark collections, always a highlight at any event or fair that DelightFULL attends. Handmade, with an all-brass body, this lighting piece features an all-steel shade and a mix of marble and steel in the base. And thus we conclude our great article on the matte black finish article.